I find that my daughter likes finger food at lunch—things that she can pop in her mouth with her hands while she chats with her friends. This means I don’t pack her any salad greens, nor do I pack cold noodles or small grains. Instead, I concentrate on combining fruits or vegetables she likes and making easy chopped salads. These are her favorite healthy bites that carry her through the day and are perfect to serve alongside sandwiches or soup. 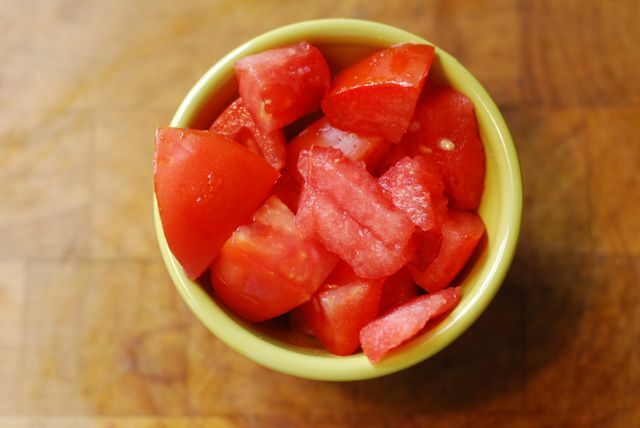 1) Watermelon & Tomato: This easy salad is a giant serving of fruit. (Tomatoes are fruit!) It is colorful and delicious, and is a blast for kids and adults alike. It will make a great dessert for any lunch box. 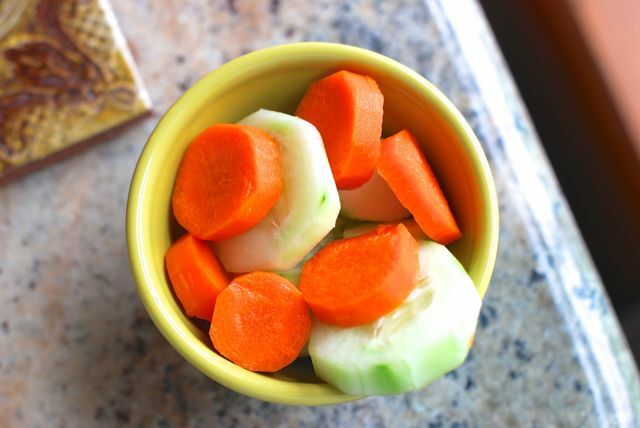 2) Cucumbers & Carrots: This super simple combo is a winner every time. The key is to cut up the vegetables in the same size strips so they are easy to handle. 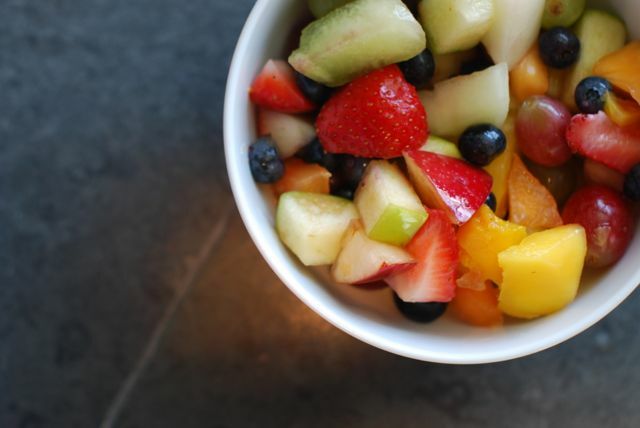 3) Mixed Fruits with Orange Juice & Nutmeg: A fruit salad is just ho-hum. Add a little extra flavor by tossing the fruit with a touch of orange juice and pinch of nutmeg.